When a world-renowned company’s mantra is ‘great design, cutting-edge engineering and responsible manufacturing,’ it must be able to rely on the right technological expertise to turn vision into reality. In an important recent business development, it set about reducing its product development time and supplementing its prototyping processes by acquiring a Stratasys Fortus 3D printer from SYS Systems. Now, instead of waiting five to 10 days for outsourced 3D printed parts, components can be produced overnight ready for testing. At its Portal Mill facility in Melksham, which hosts its regional R&D, manufacturing and logistics functions in one state-of-the-art building, new Stratasys technology is enabling the company to increase efficiency and expand operational capability. Its stylish office chairs and furniture are manufactured and assembled here, before being exported across Europe, the Middle East and Africa. Its move into 3D printing is keeping this global leader at the forefront of innovation, and visitors to the TCT Show at the NEC in Birmingham from September 26 to 28 will be given a tantalising glimpse of exactly what it is all about. Staff from SYS Systems, the UK Stratasys platinum partner and part of the Derbyshire-based Carfulan Group, will exhibit and perform live demonstrations at the show. One of the highlights will be a Herman Miller prototype Keyn four-legged chair, created using the Stratasys Fortus 3D printer, and showcased alongside the finished product which it helped to shape. 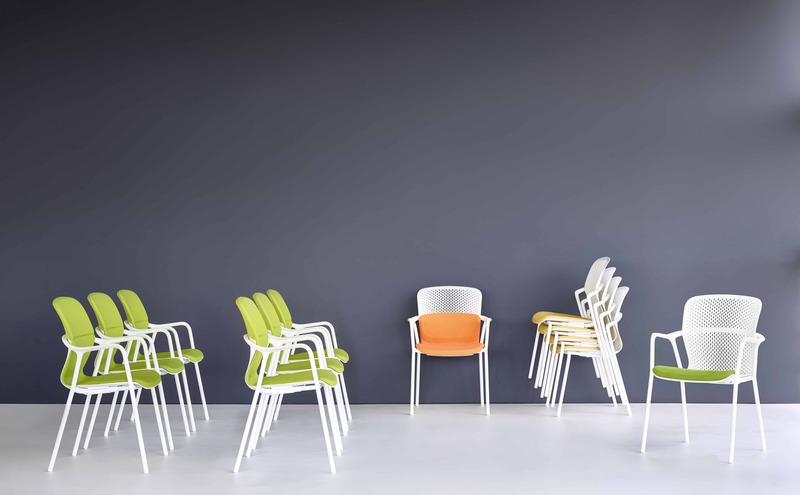 The Keyn range of meeting and side chairs is unique in offering responsive ‘CradleFlex’ movement to shifts in posture, reclining up to 10 degrees and boasting both comfort and visual appeal. 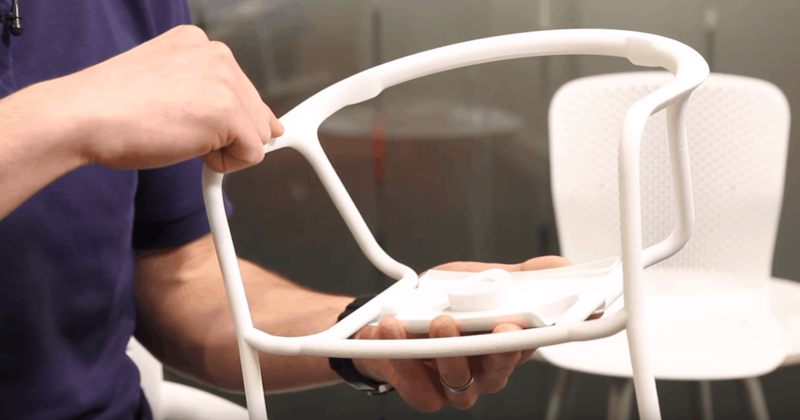 Having the capability to create complex prototypes on-site, without the high costs and time requirements of tooling, while at the same time allowing quick and affordable changes at any stage in the 3D printing cycle, is crucial for this – and any other – high-level manufacturer. Also available to view at the TCT Show will be SYS Systems’ new FDM F123 series, which was launched earlier this year and comprises three advanced compact 3D printers that use Stratasys-pioneered Fused Deposition Modelling (FDM) technology to enable manufacturers to create prototypes on-site. Other machines on display will include the Fortus 450mc, alongside a selection of PolyJet systems such as the Objet500 Connex3 and the Objet30 Pro. The Objet30 Pro, meanwhile, is ideal for consumer goods prototyping with the accuracy and versatility of a high-end rapid prototyping machine, but comes in desktop size. Its offering includes a choice of eight various 3D printing materials, including clear, high-temperature and simulated polypropylene, and boasts the industry’s best print resolution to create realistic models quickly and easily. This year’s TCT Show marks the 22nd anniversary of the event as the leading exhibition for 3D printing technology, bringing together manufacturers, designers, business leaders, early adopters, innovators and investors. They will all be able to enjoy SYS Systems’ range of technologies first-hand from stand D22, where a team of industry experts will be on hand to deliver advice and guidance on their 3D printing needs.